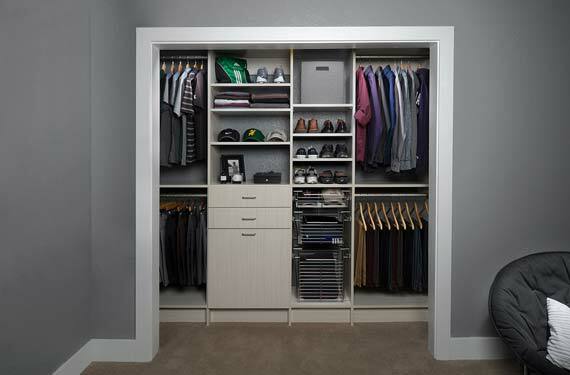 Reach-in closets have a lot of potential – but only if they are designed properly. 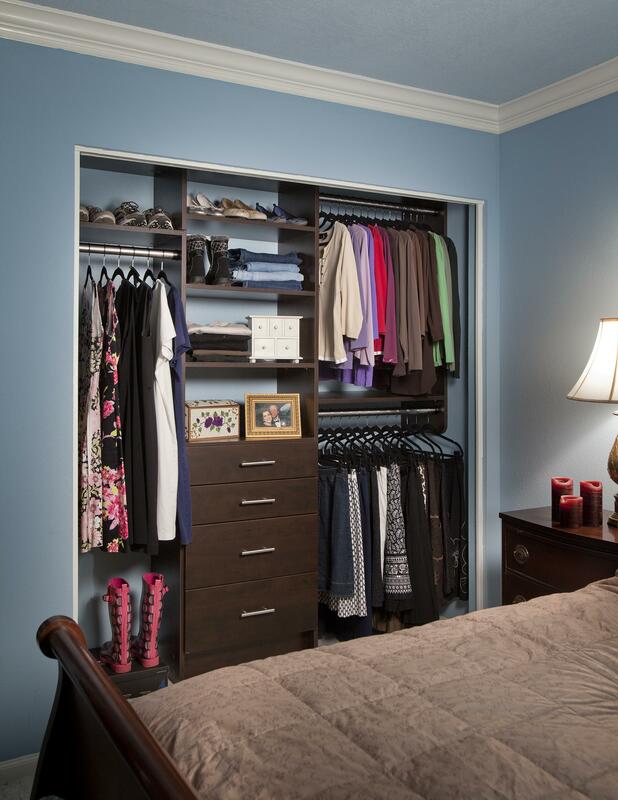 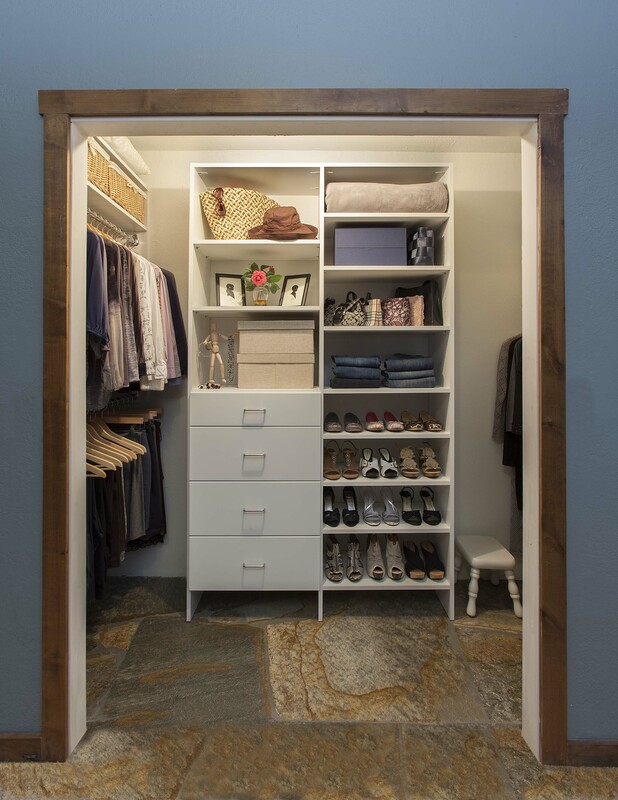 San Diego Closet Design has all the tools you need to get a custom reach-in closet organization system that optimizes your space and accommodates any wardrobe. 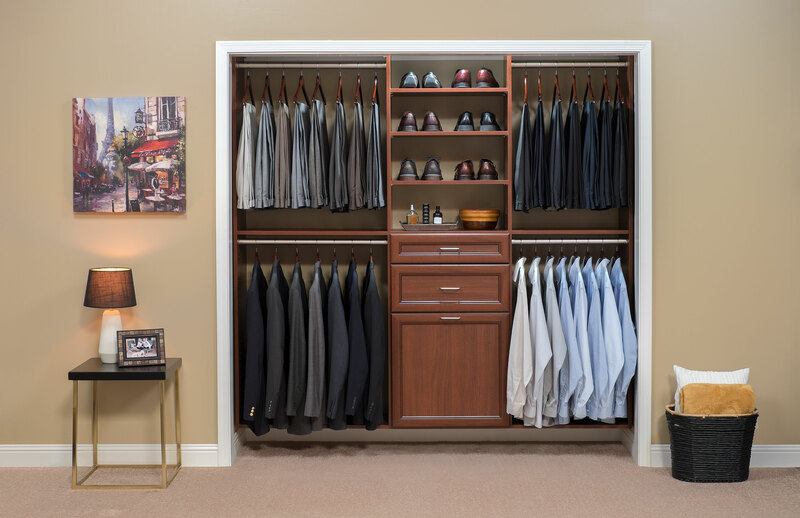 We have years of experience planning and constructing reach-in closets for small spaces and can make custom recommendations for your home so you get superior closet organization solutions. 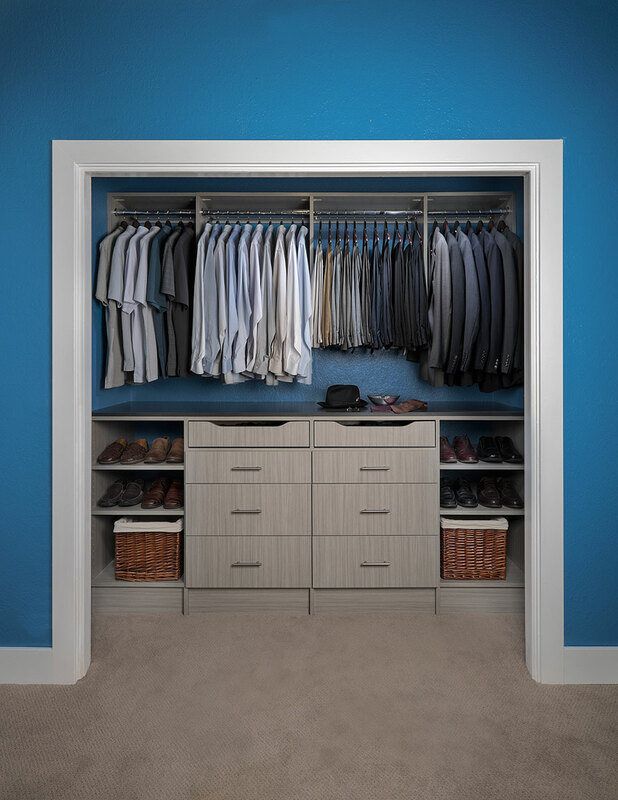 San Diego Closet Design uses high-quality materials to ensure a lasting look for your closet that can be enjoyed for many years to come. 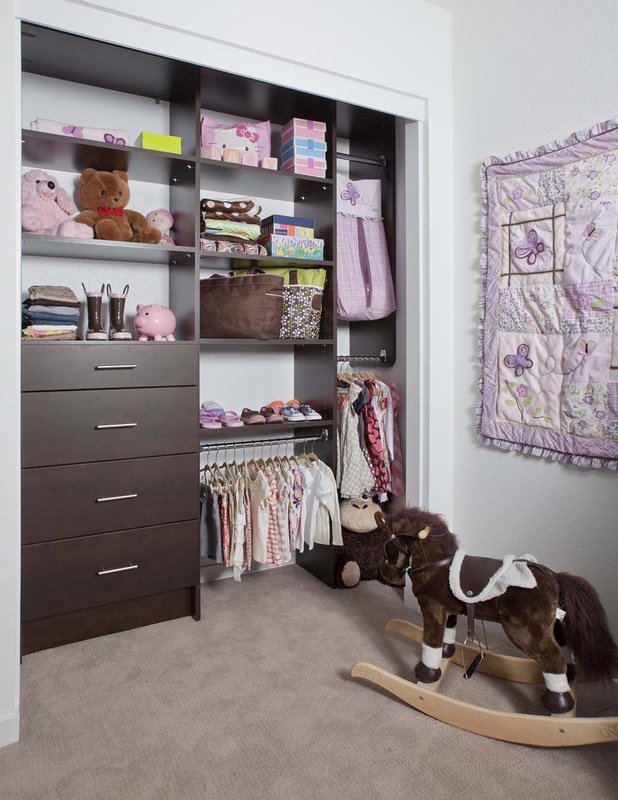 Children’s closets often have different requirements than closets we design for adults. 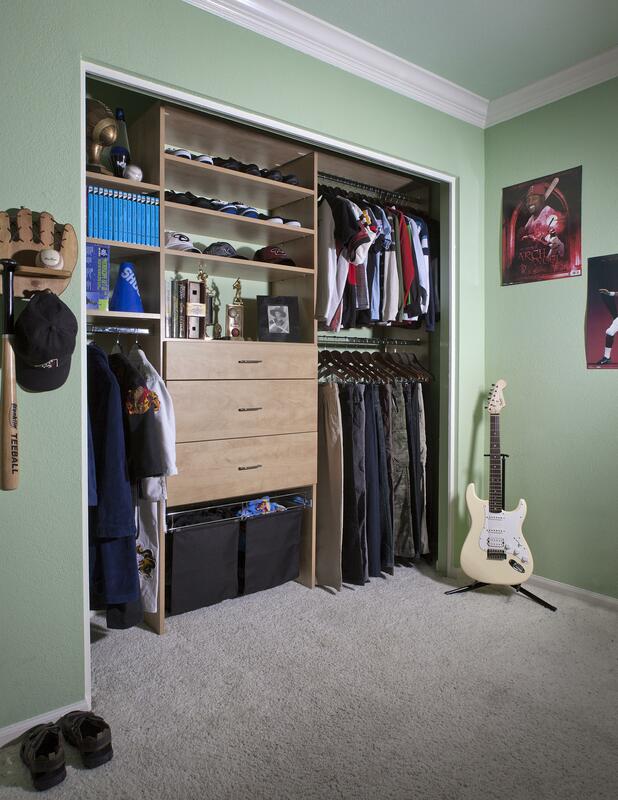 Children might need space for toys and books in addition to hanging and folded clothing. 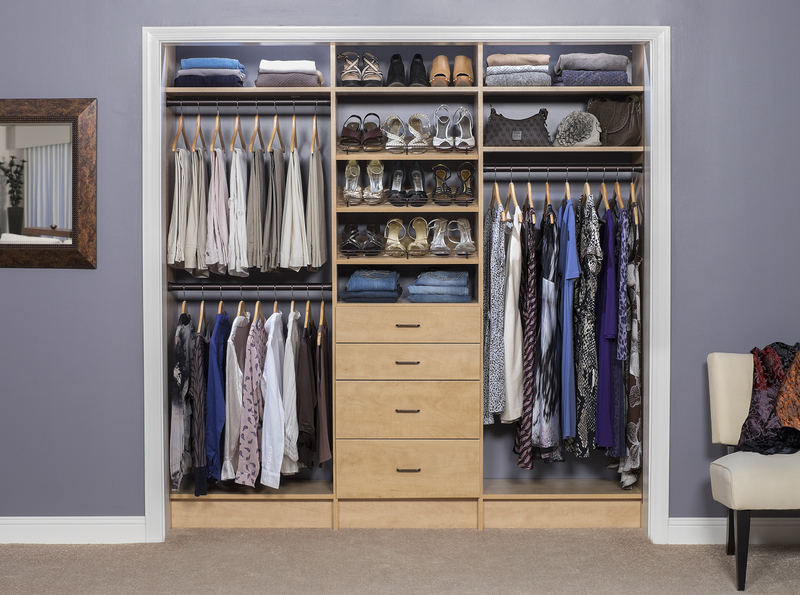 Having an organized space for everything helps Mom and Dad get the kids ready easily each morning. 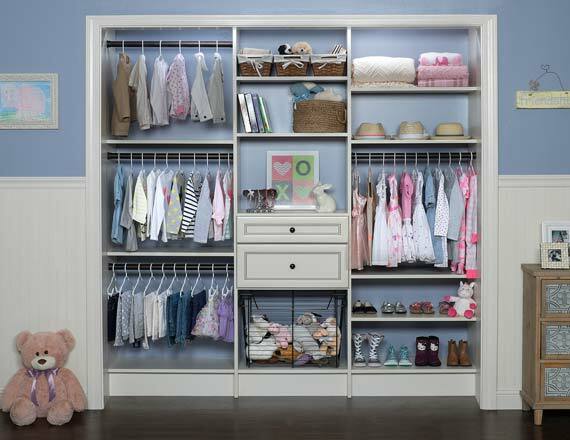 Adjustable shelving is a great concept in kid's closets – and for good reason! 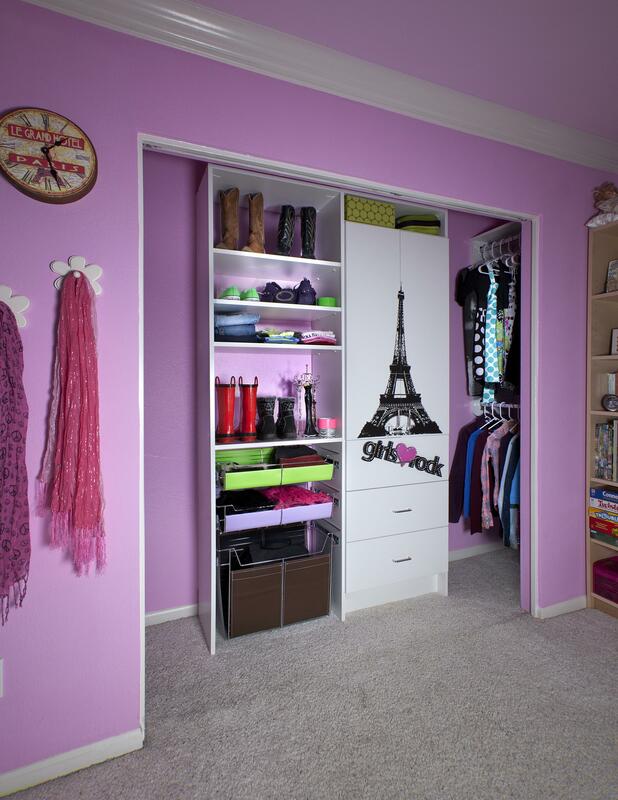 Movable shelves and hanging rods allow you to change the look and function of your child’s closet as they grow, so everything is always at the perfect height. 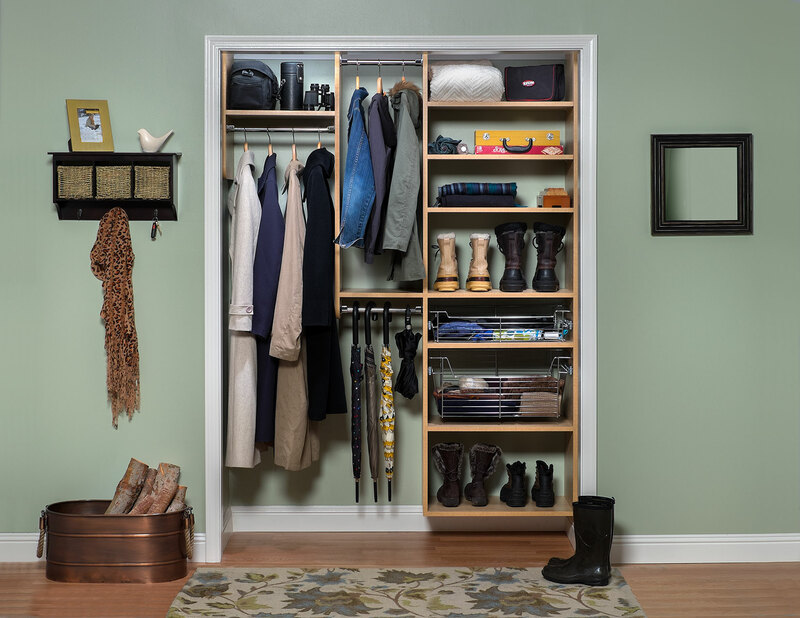 In the meantime, low-hanging rods and floor-level shoe organizers are perfect for independent children who want to pick out their own outfits in the morning.